Enjoy the European mecca of windsurfing! 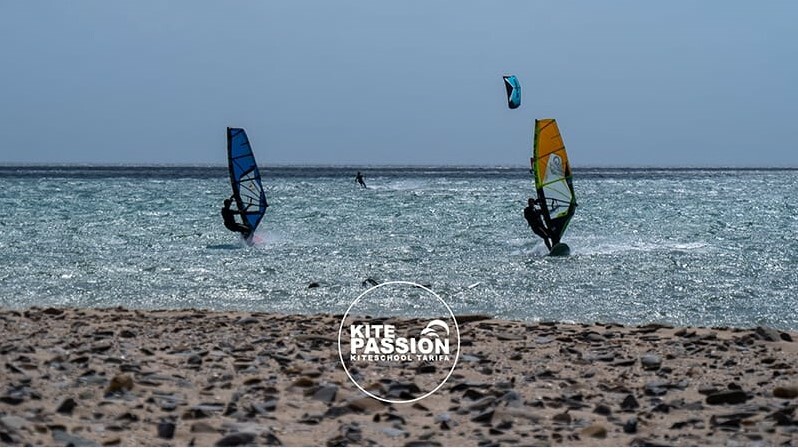 When it comes to teaching windsurf, at KitePassion Tarifa we are professionals. Our school was originally founded as a windsurfing school and by now we have more than 15 years experience in instructing windsurf courses in Tarifa. Our instructors are certified to teach this great sport at all levels, starting with beginners kids until adults who want to improve their skills. Our best windsurf course in Tarifa includes responsibility and accident insurance, instructor, wetsuit, all the windsurf gear. Are you looking for an accommodation in Tarifa? Click here for info about our windsurf lessons and accommodation packages.